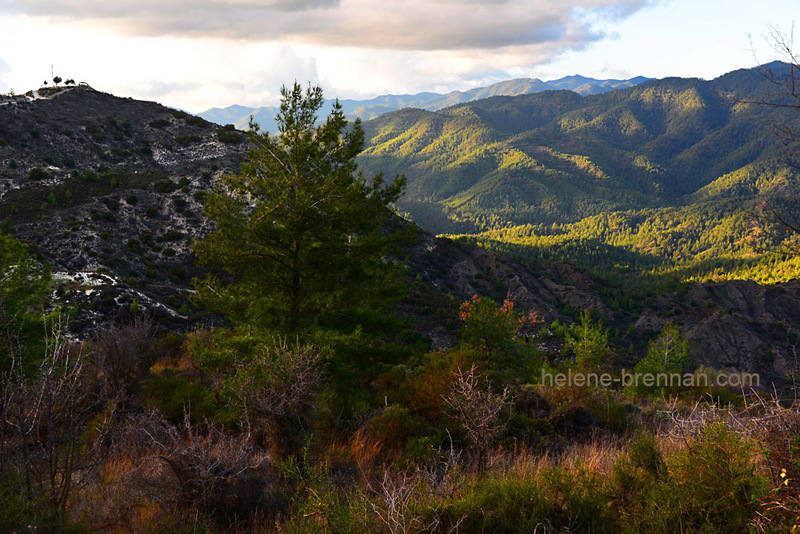 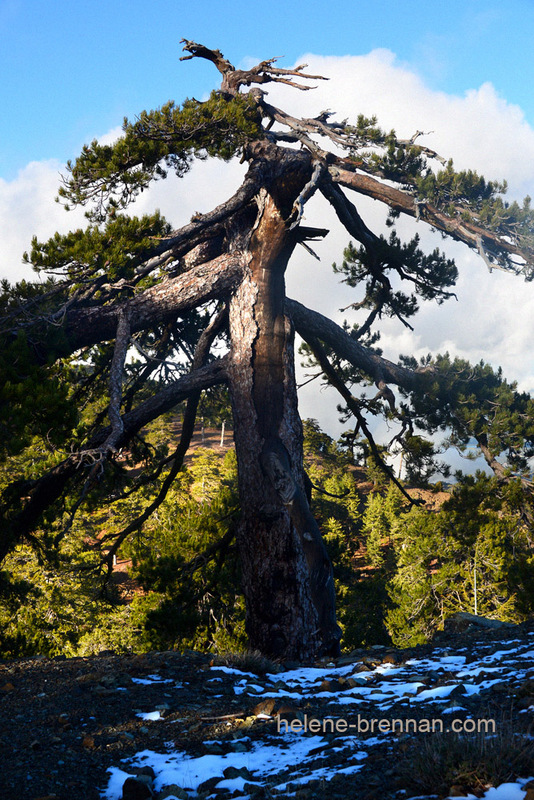 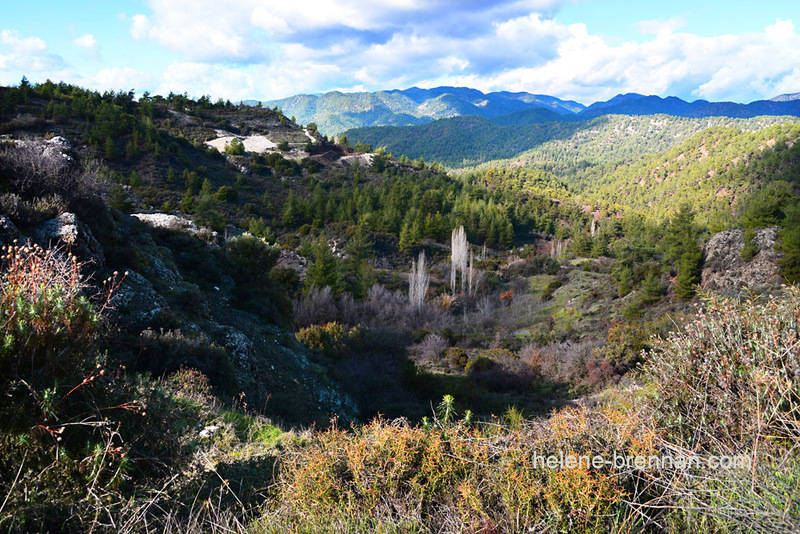 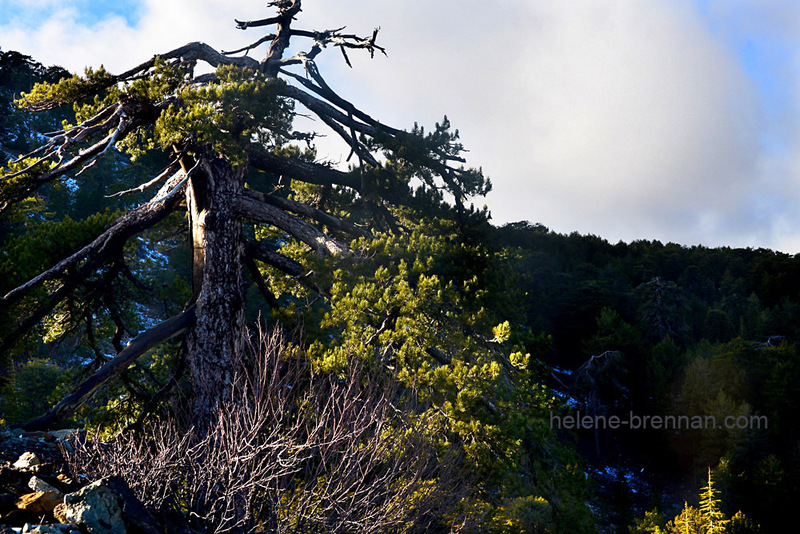 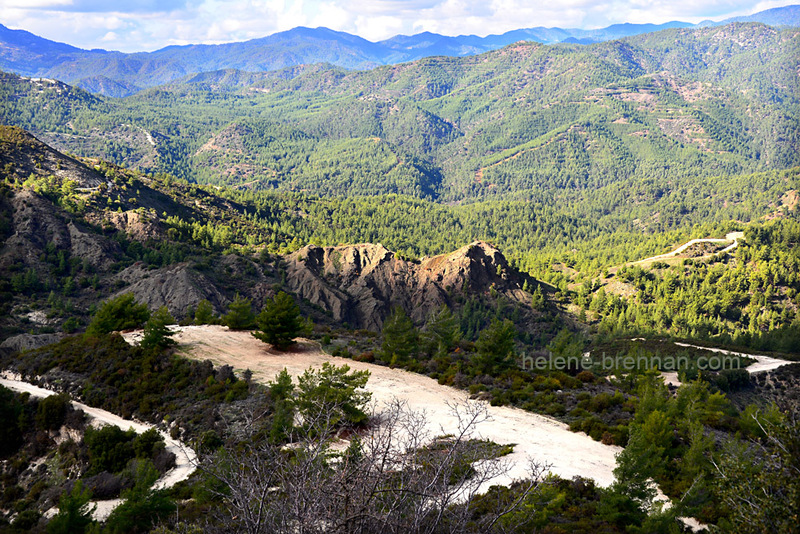 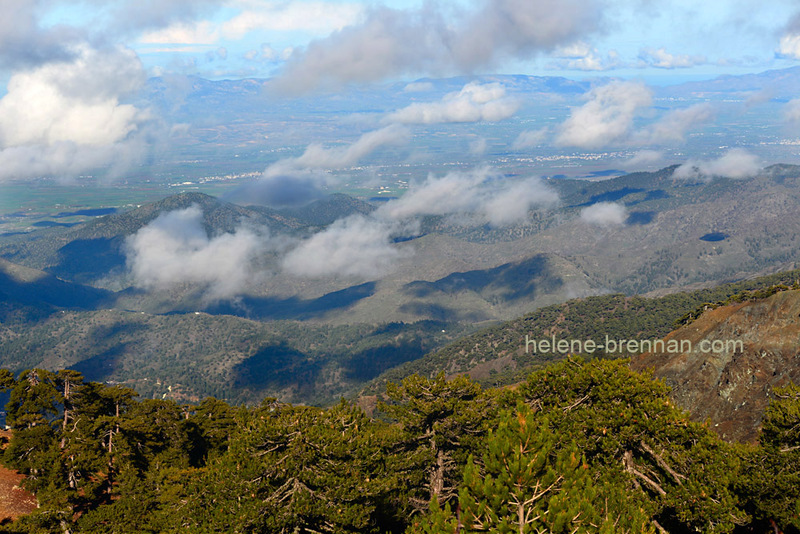 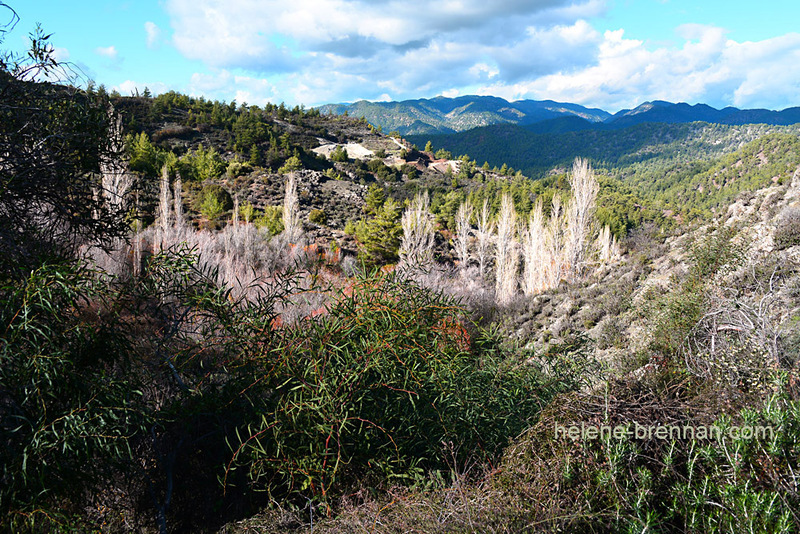 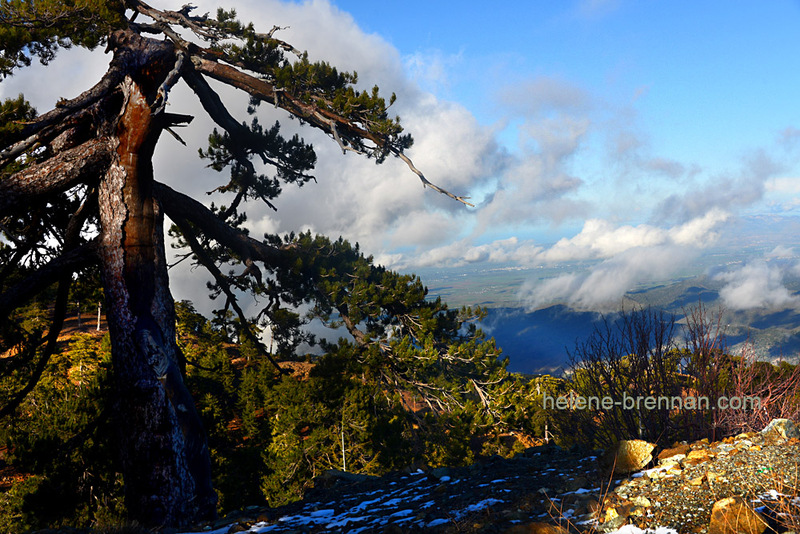 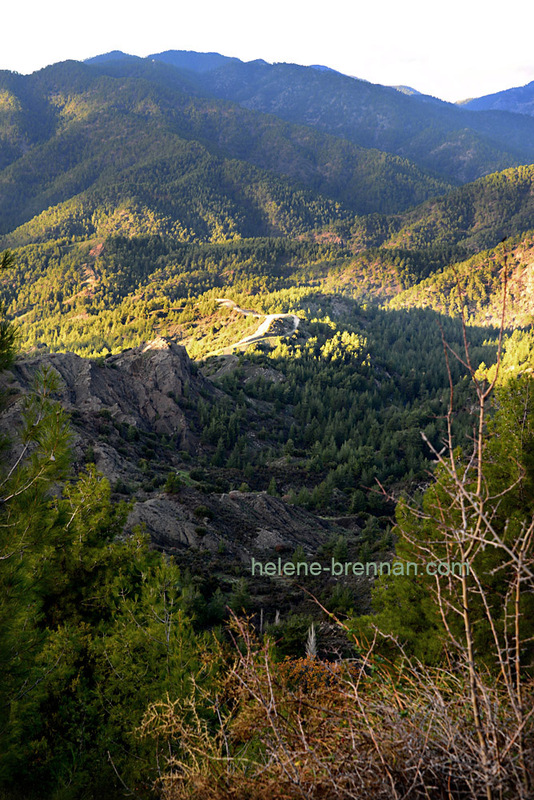 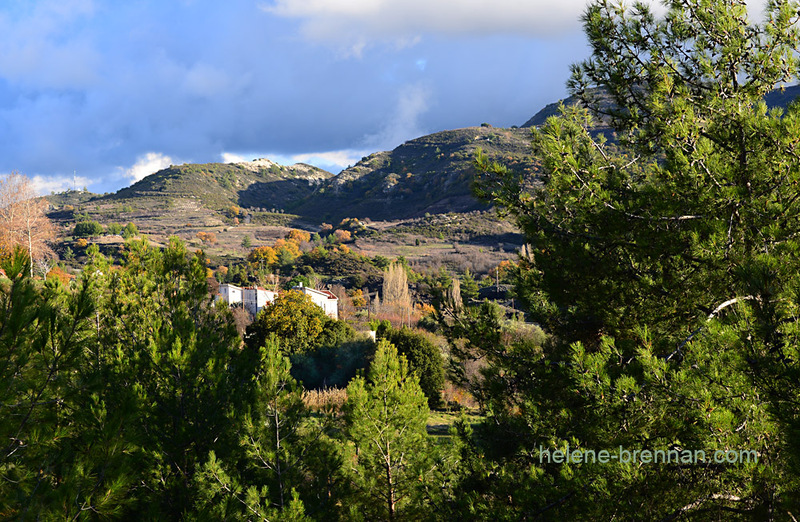 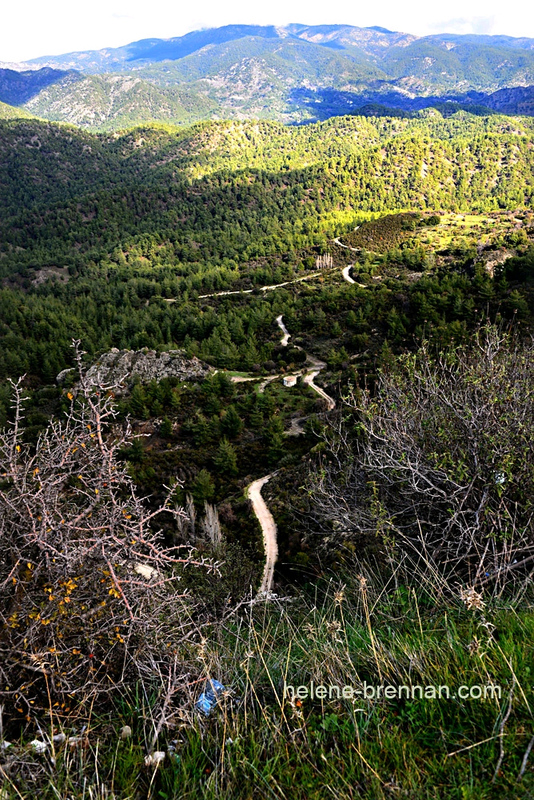 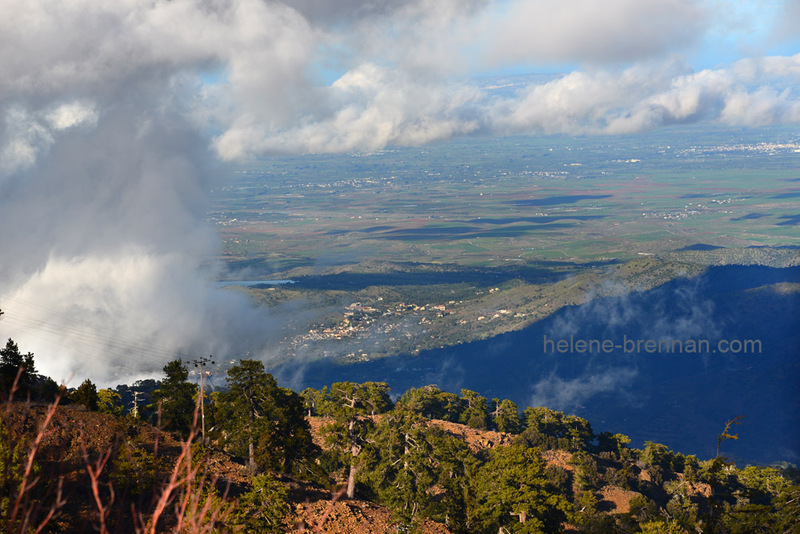 This was December 2018 in the Troodos Mountains of Cyprus. 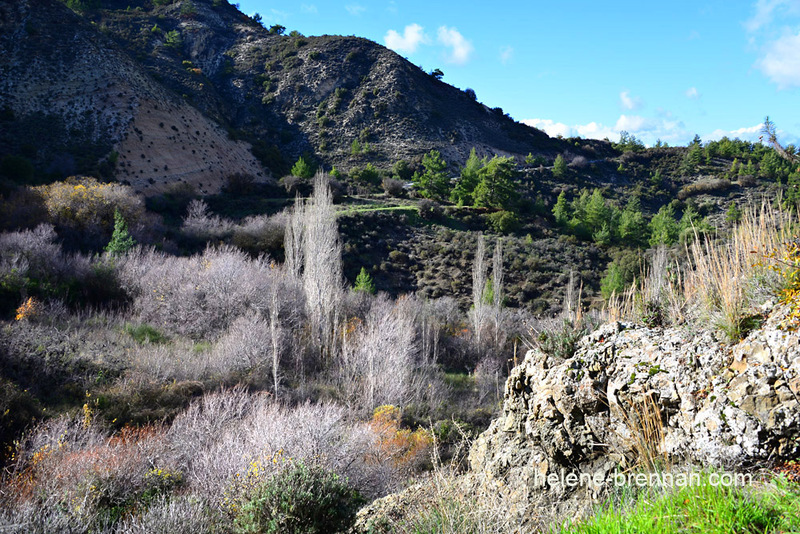 A beautiful area getting away from the popular coastal areas. 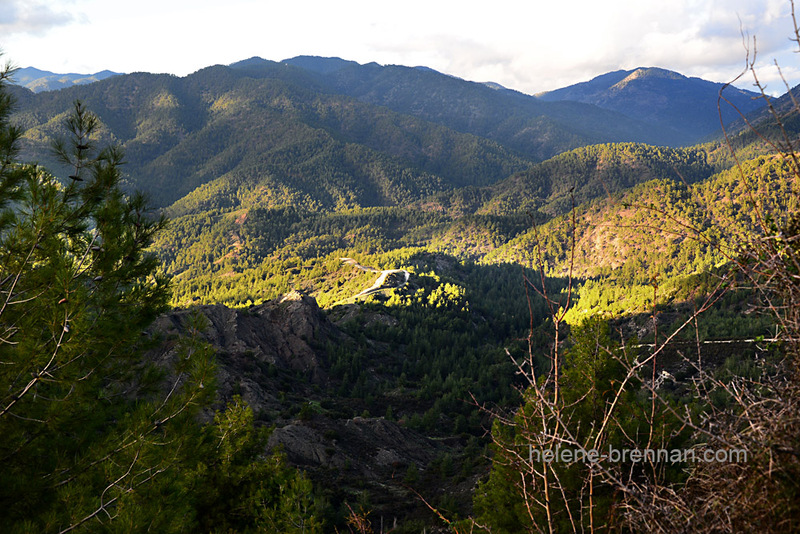 I would expect this to be very popular during the hot summers, and it is noticeably much cooler up here at any time. 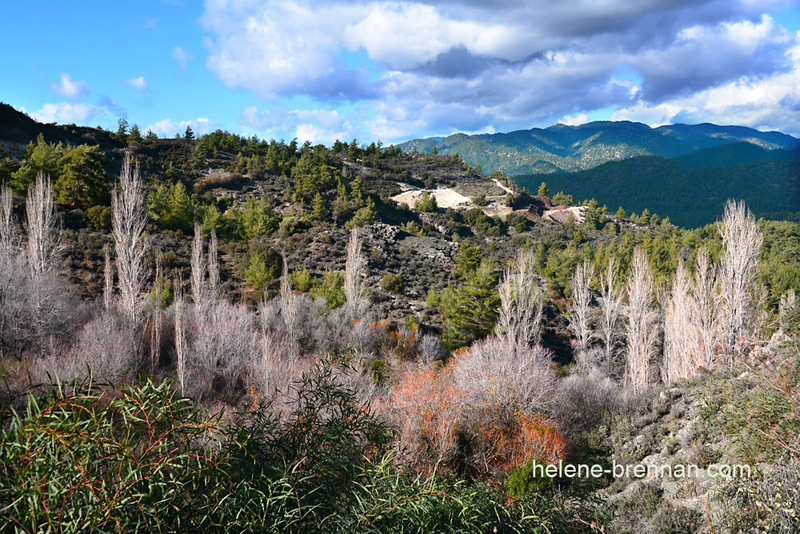 Indeed, they have a skiing resort here, but there wasn’t much snow about when I was there – just a sprinkling at the top. 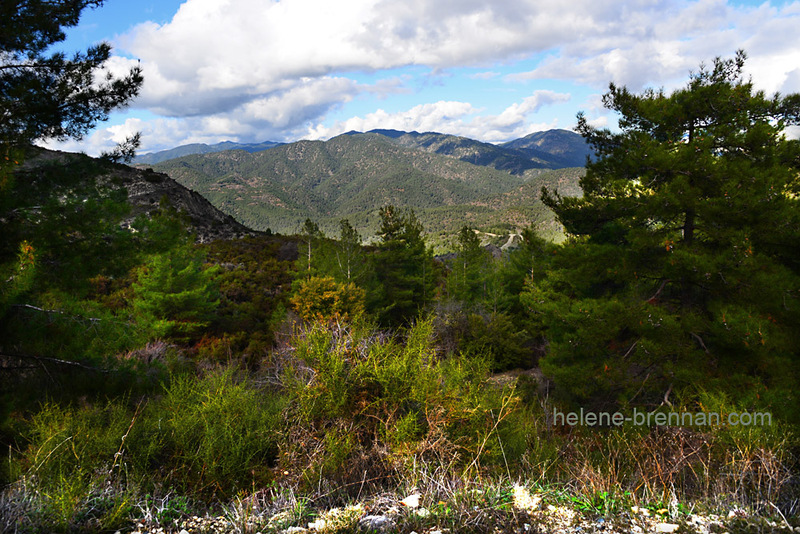 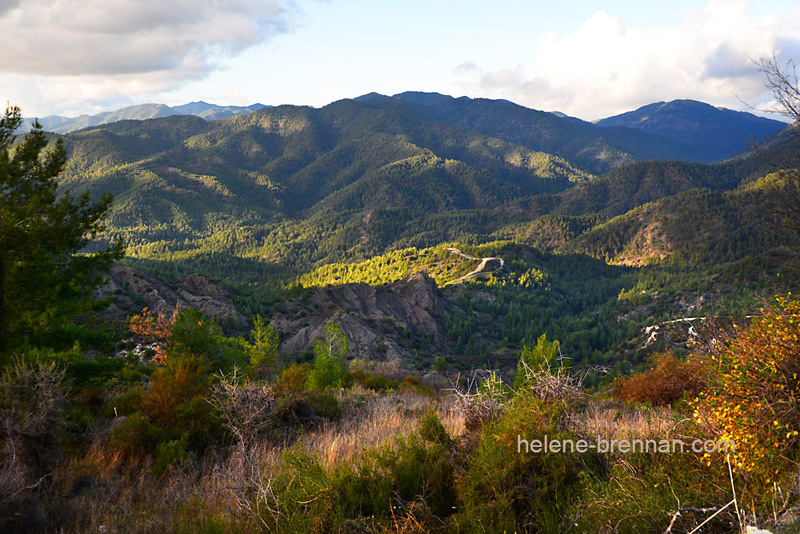 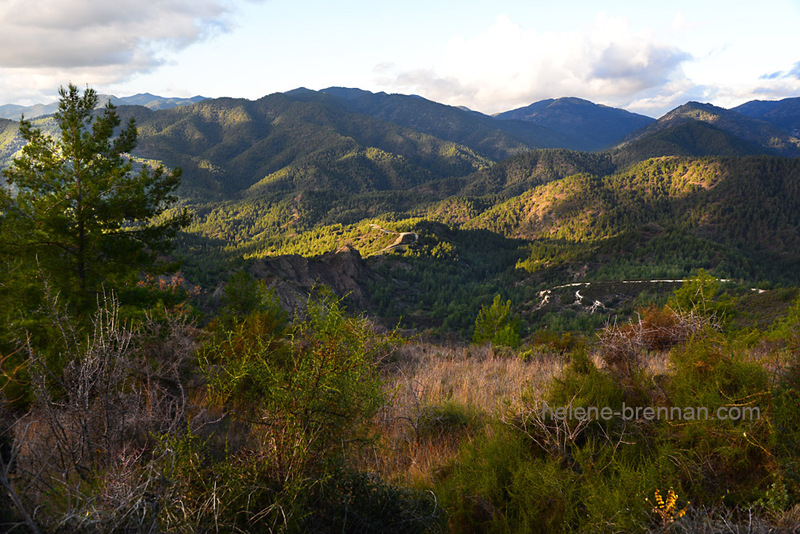 Apart from the stunning scenery, It was quite wonderful to smell the aroma of the pine trees. 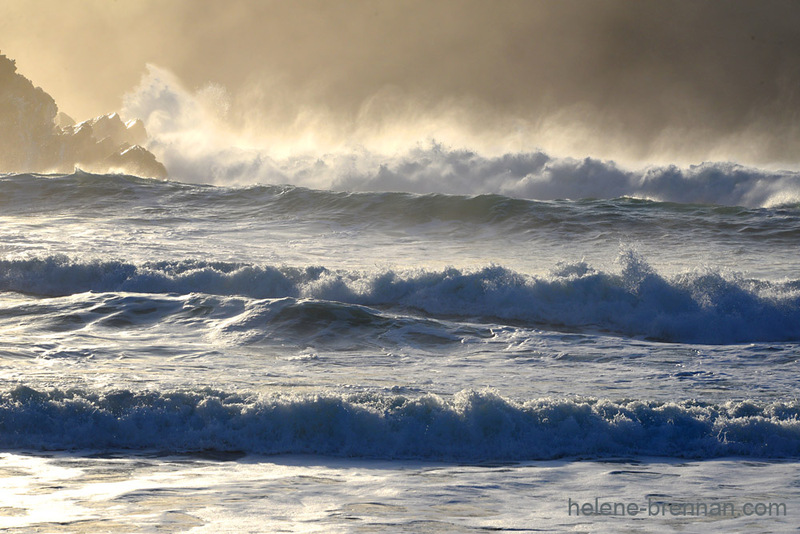 It made me want to breathe more deeply. 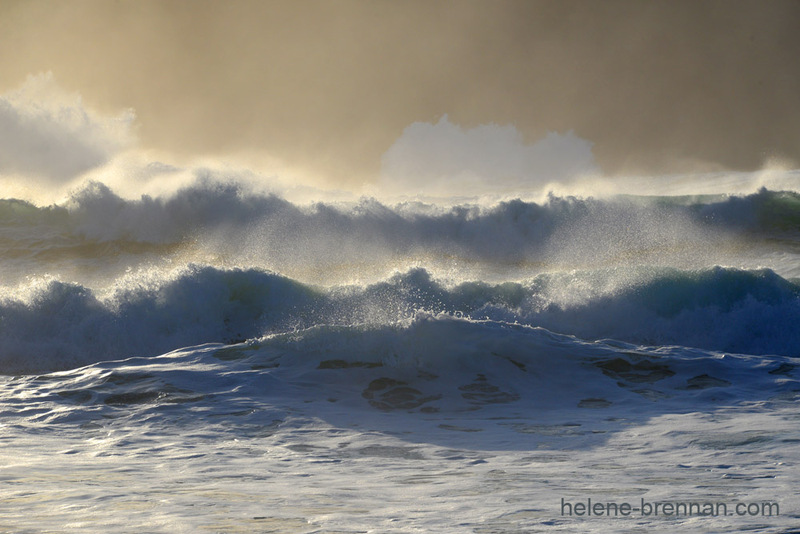 It seemed more intensely perfumed than anything I experienced before. 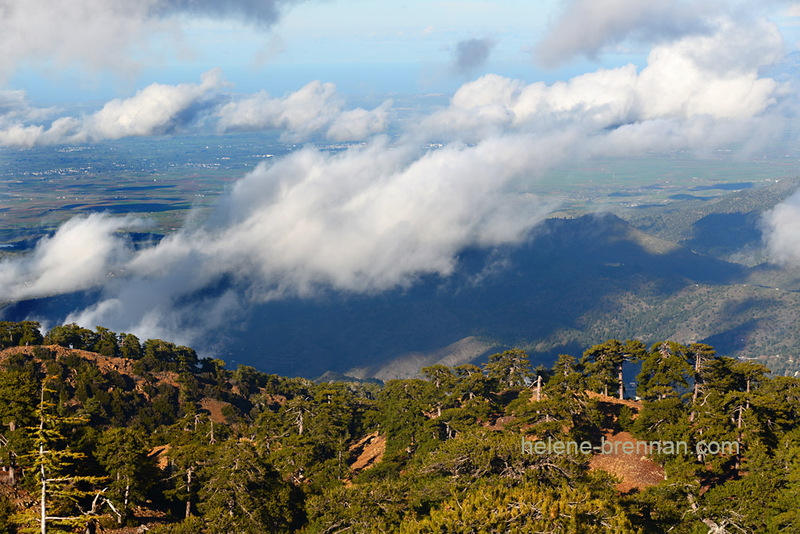 Up in the clouds on Mount Olympus. 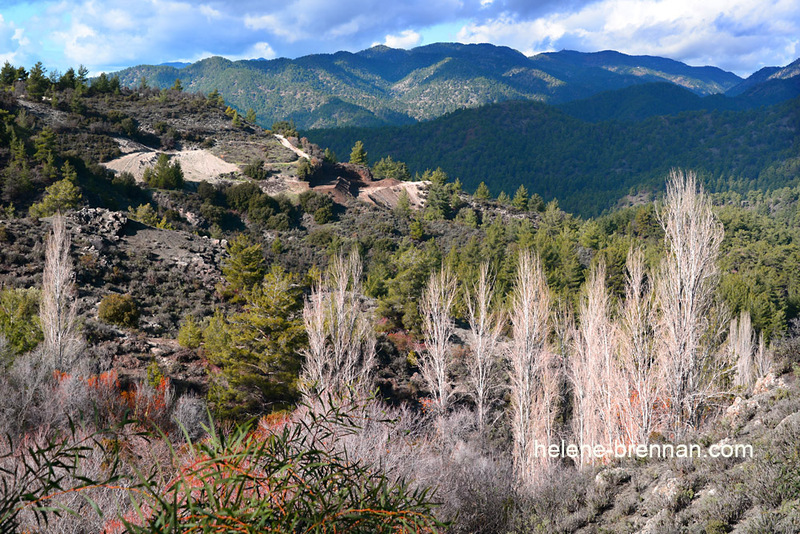 There was a smattering of snow here. 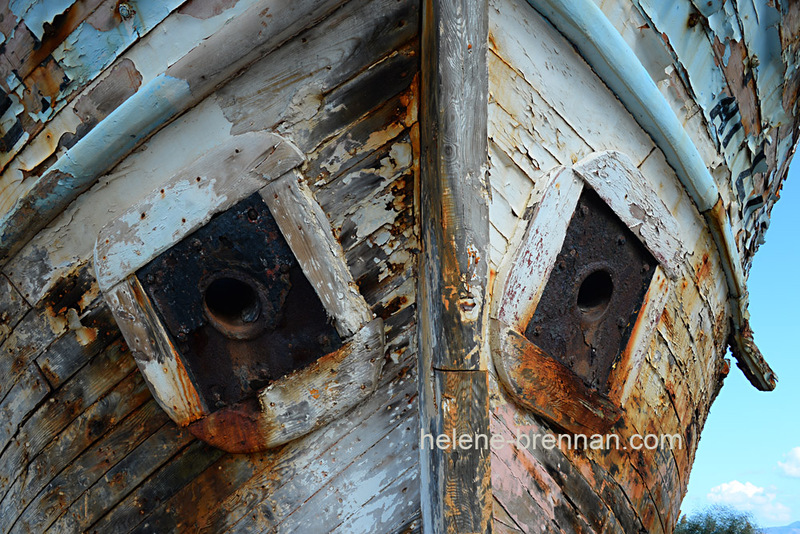 Thanks for viewing my photos. 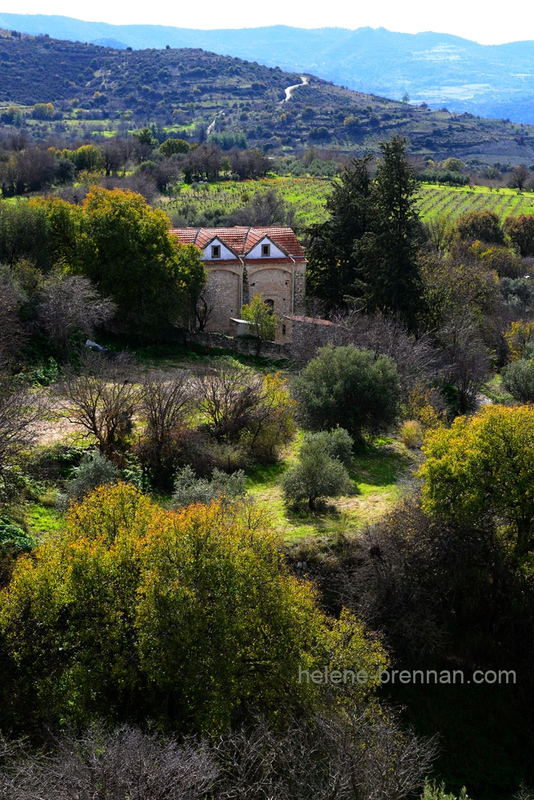 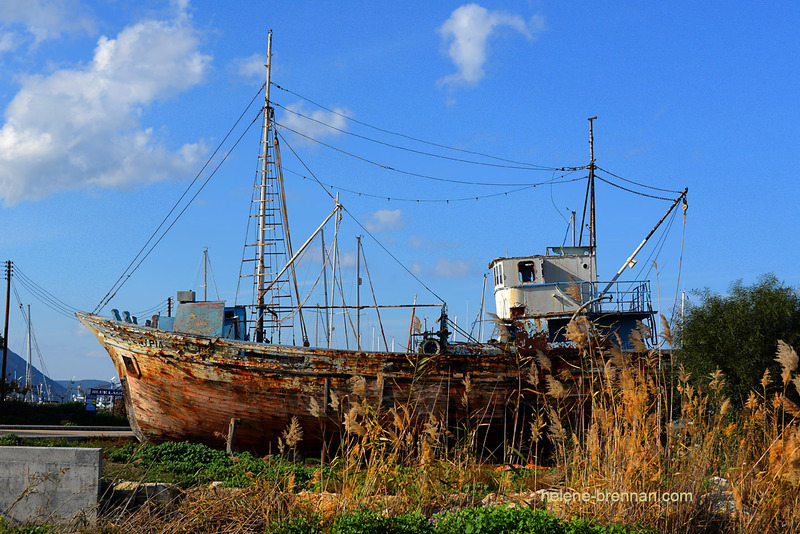 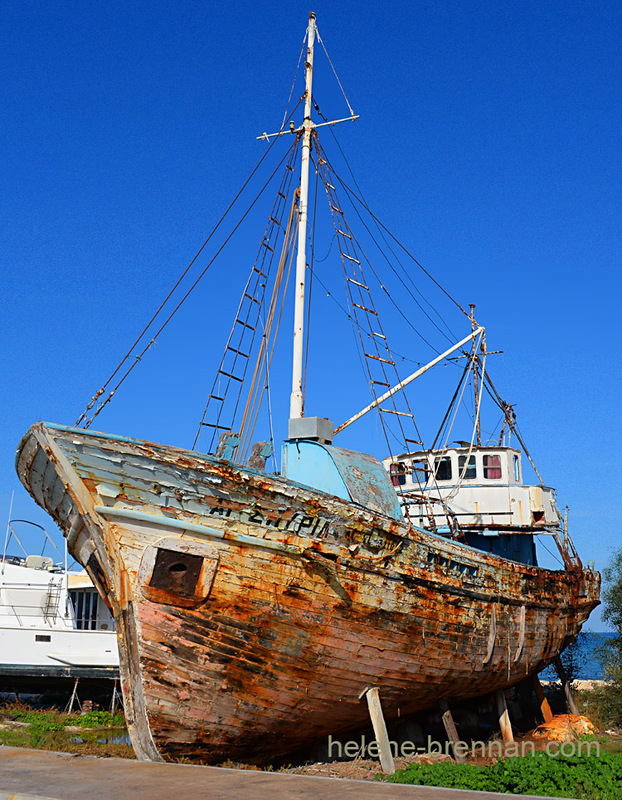 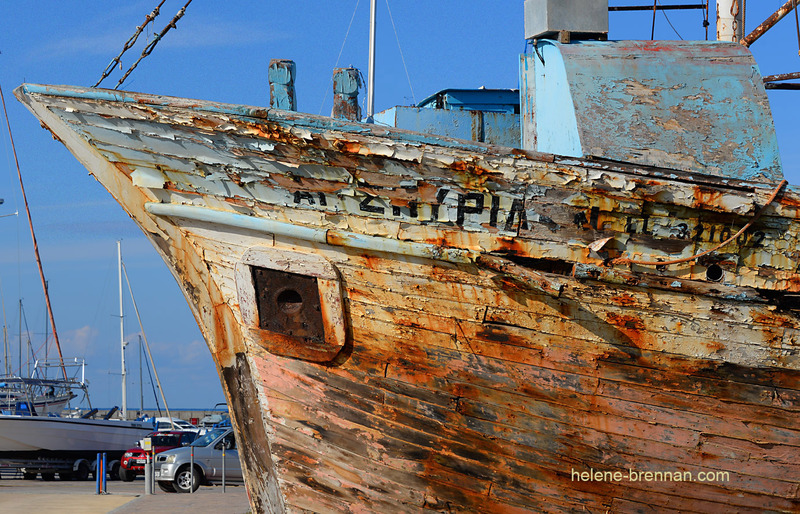 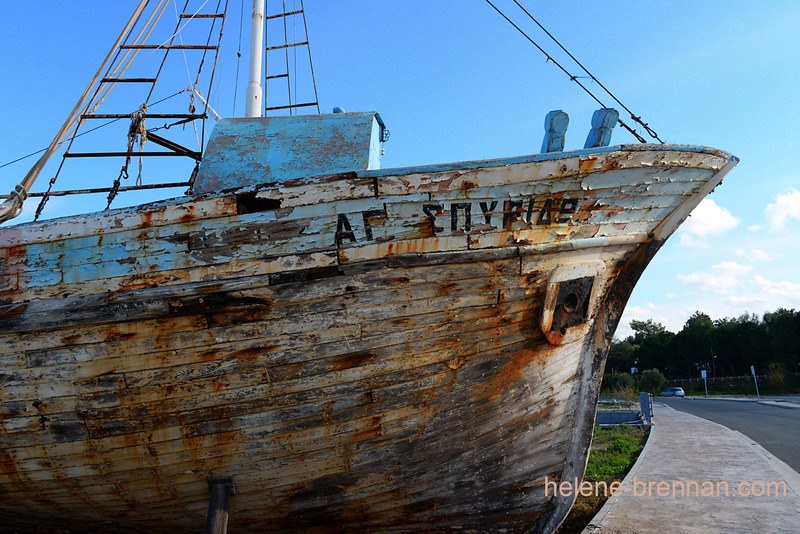 Please look out for more Cyprus posts. 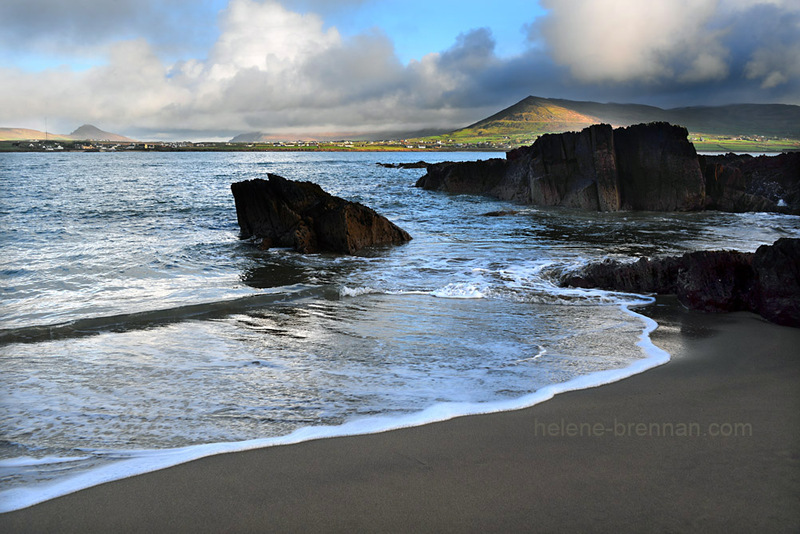 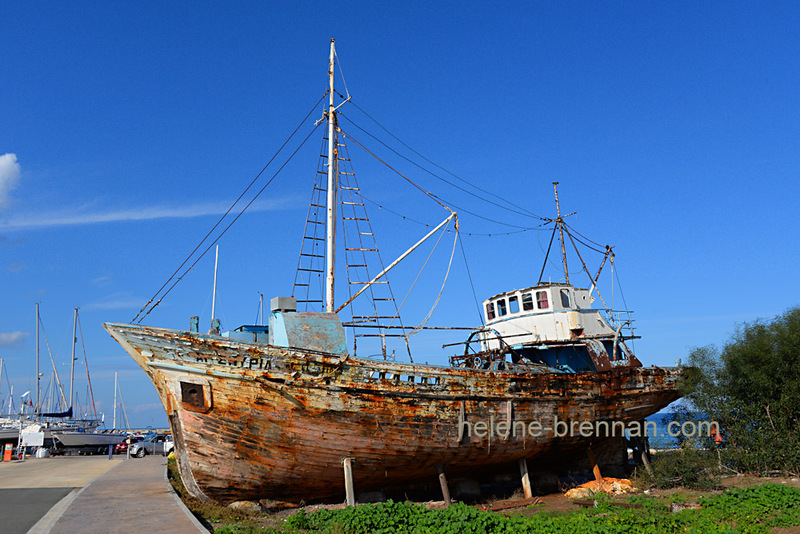 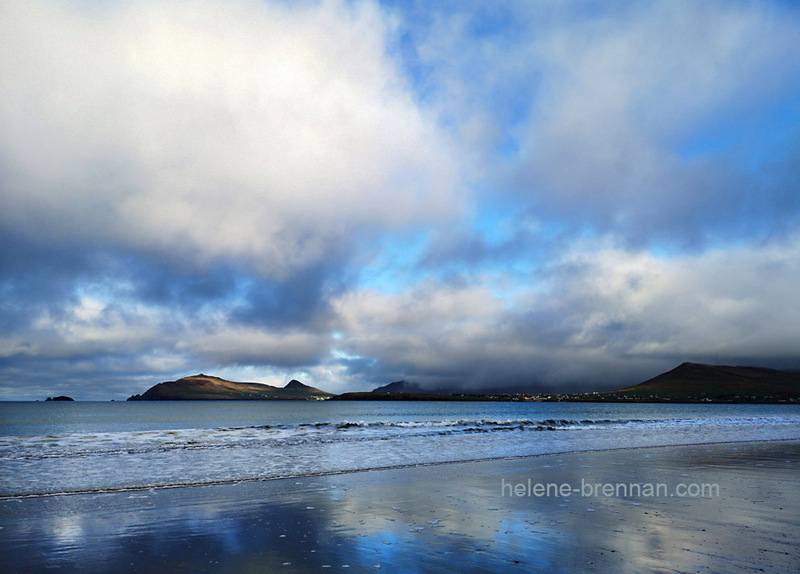 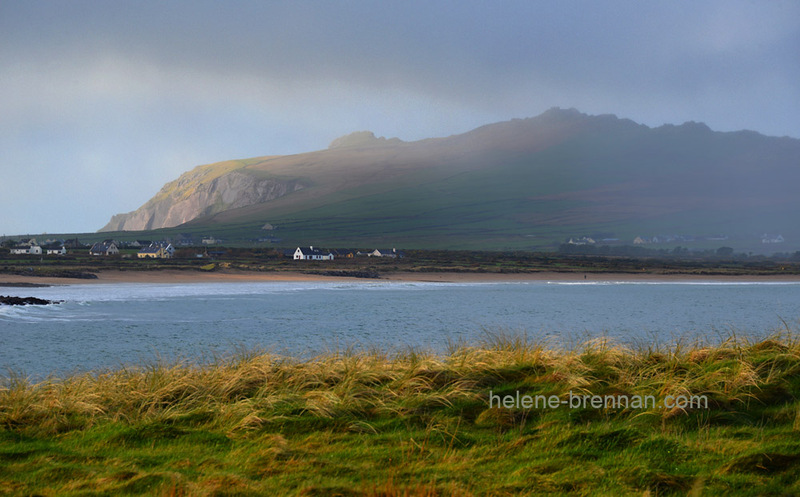 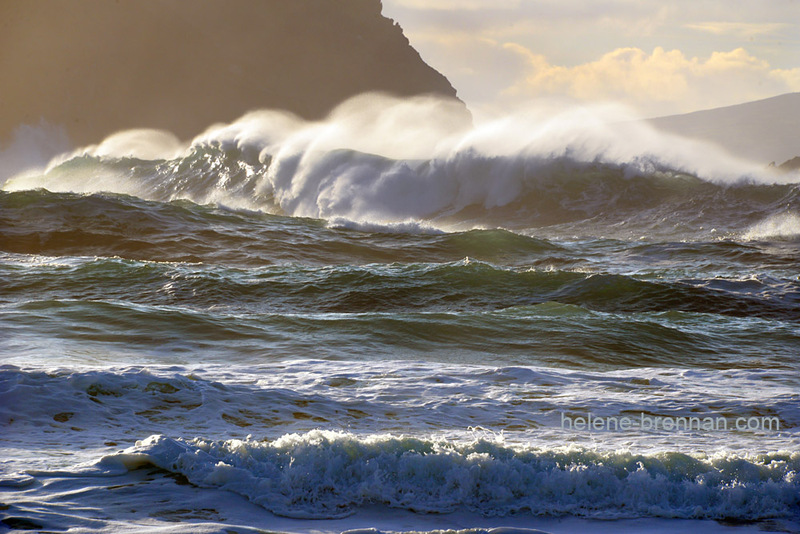 These photos were taken on Clogher Beach, on the west end of the beautiful Dingle Peninsula. 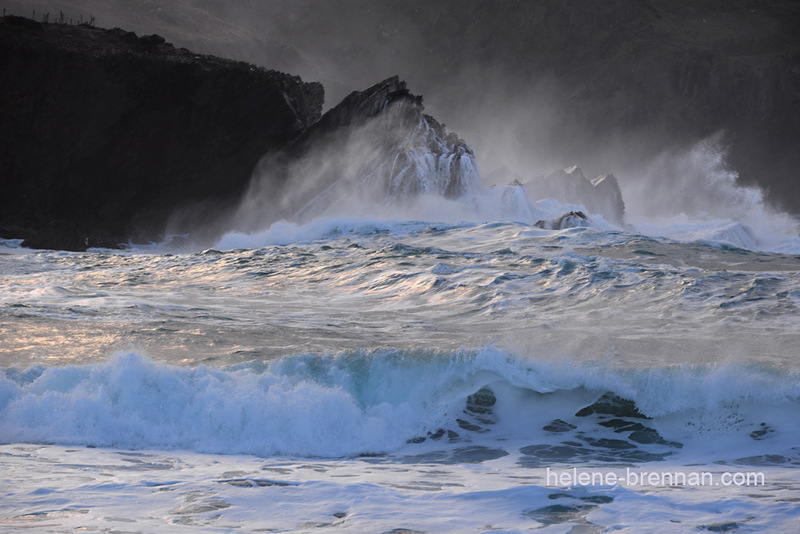 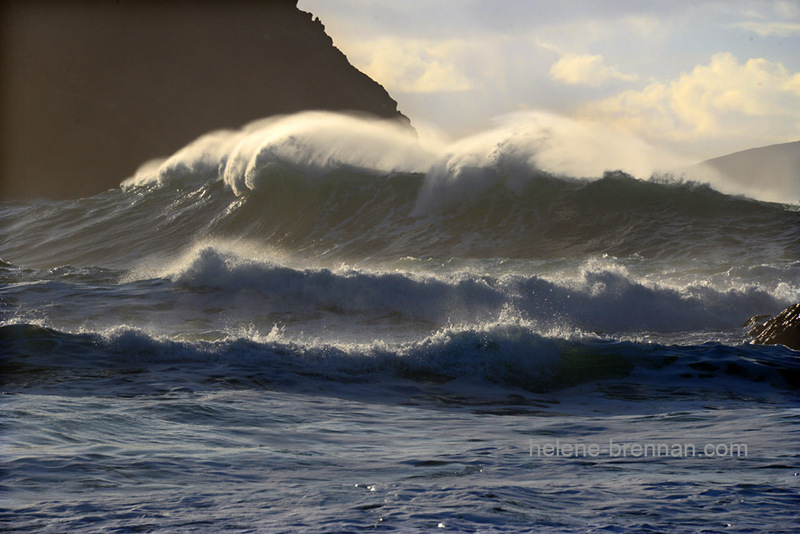 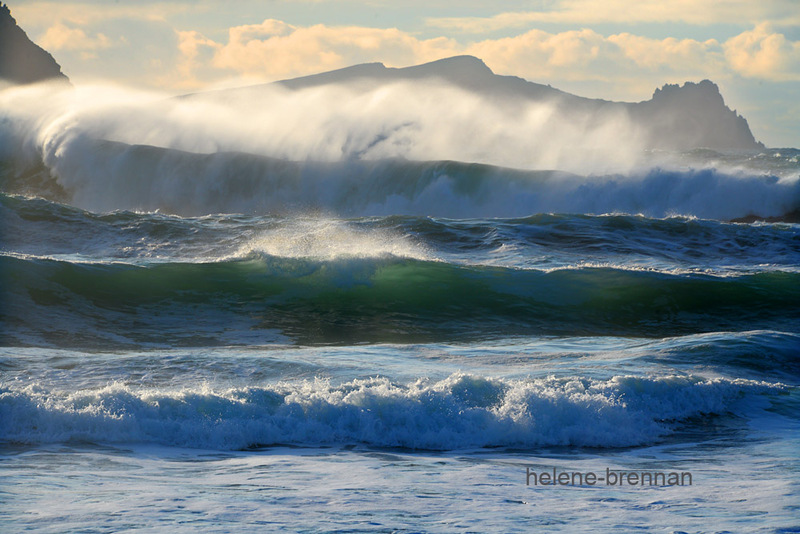 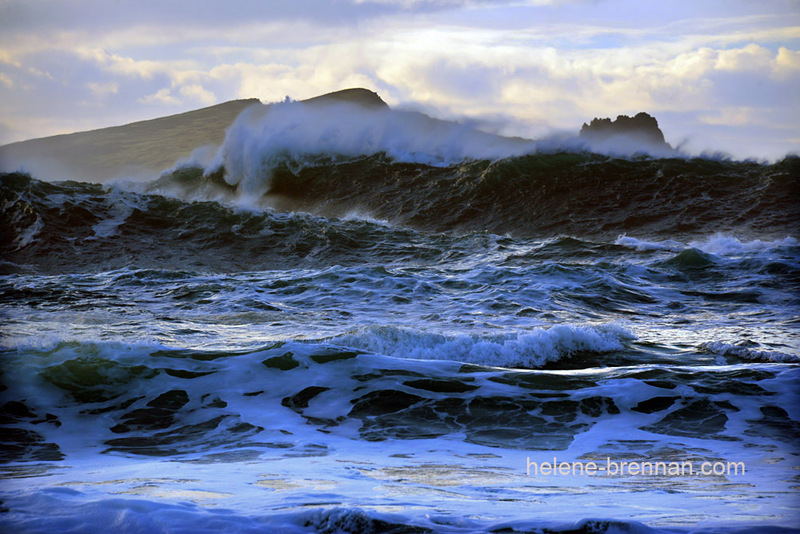 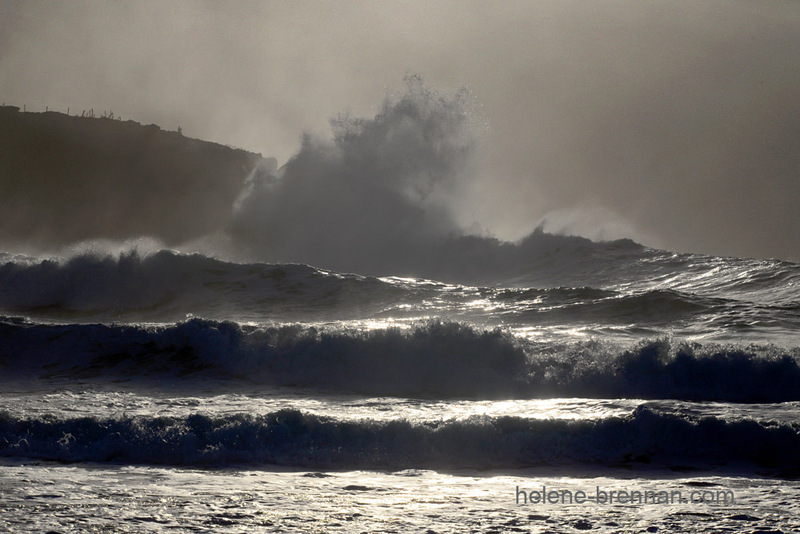 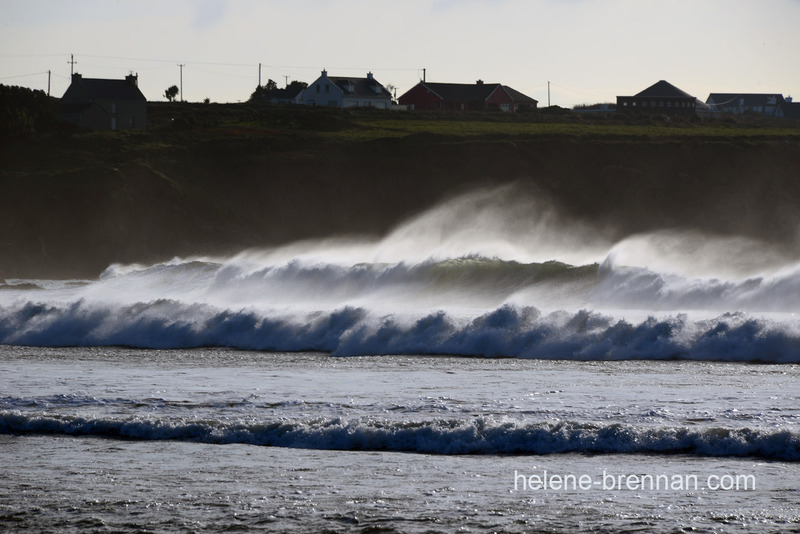 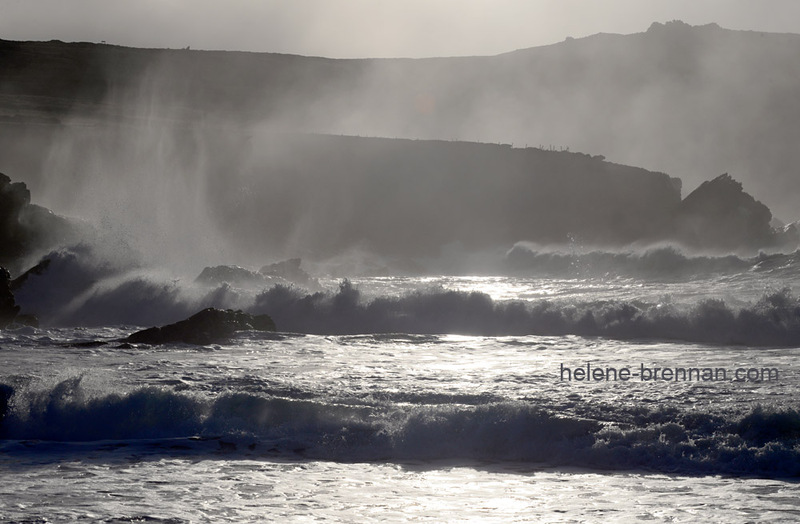 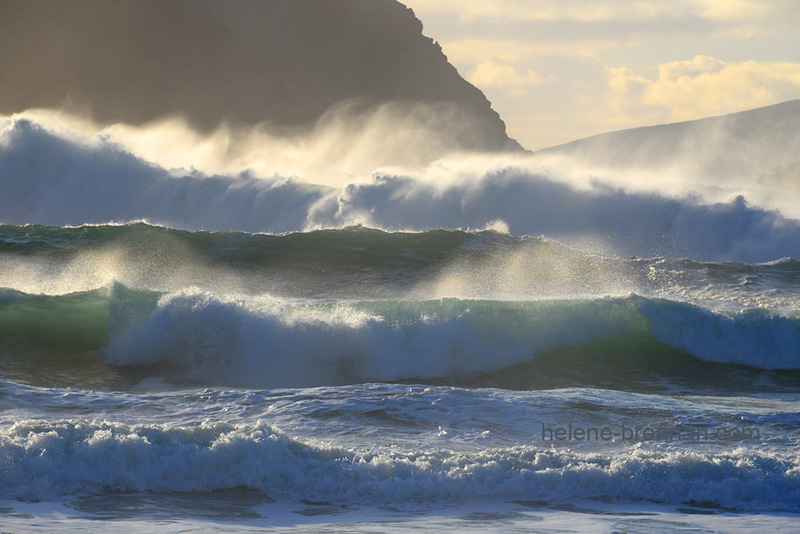 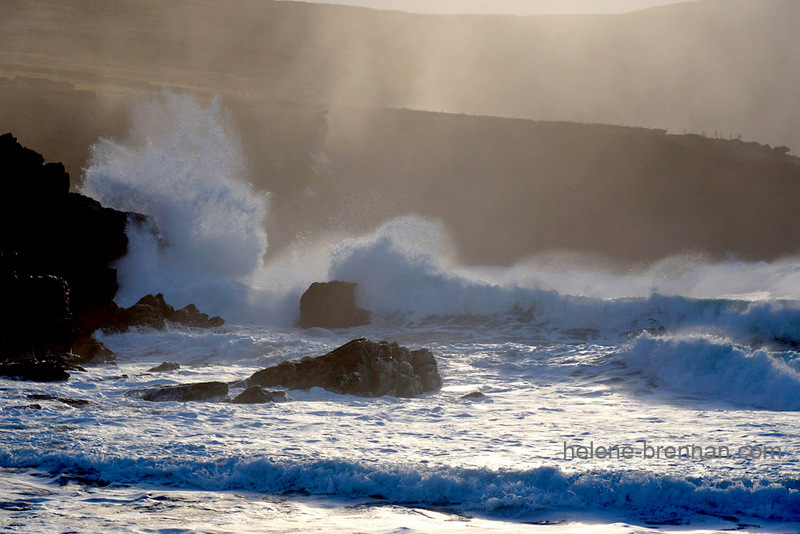 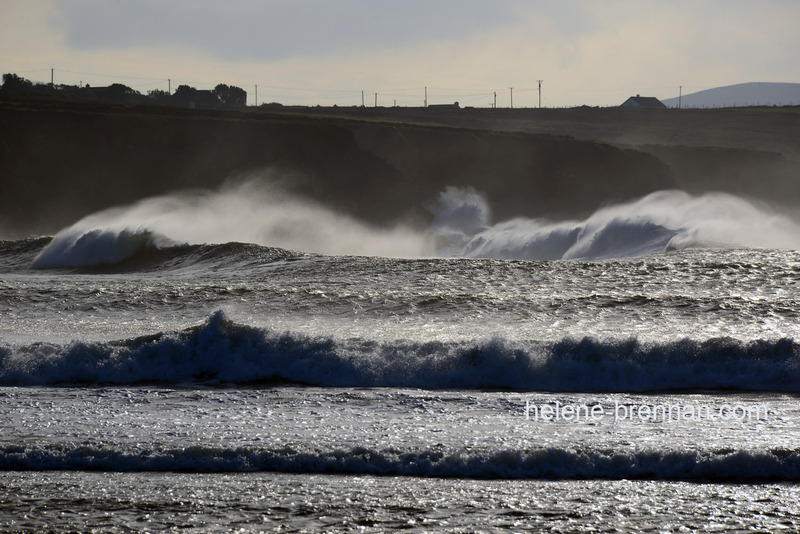 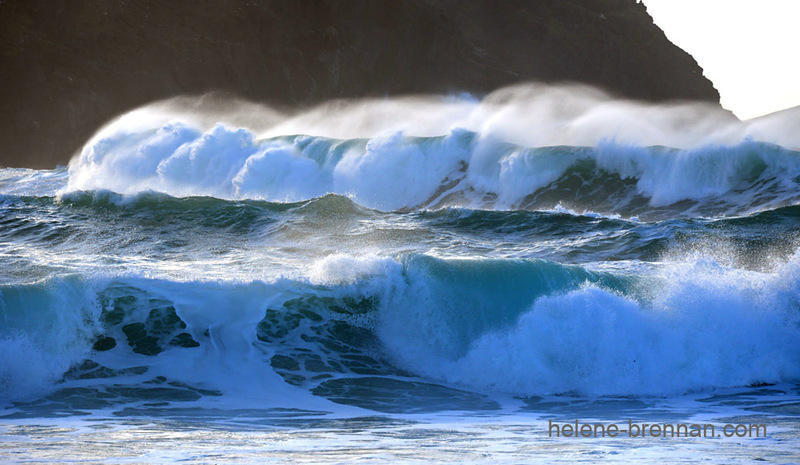 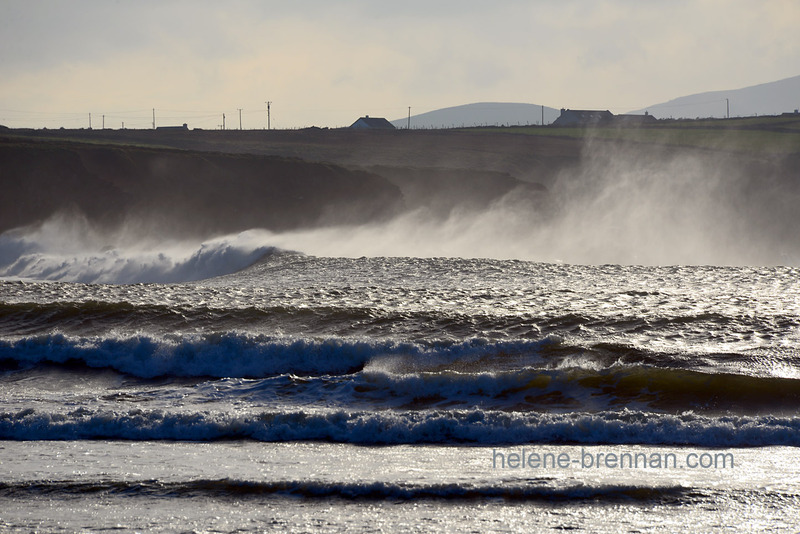 This is our most popular spot in West Kerry for capturing big bold crashing atlantic waves. 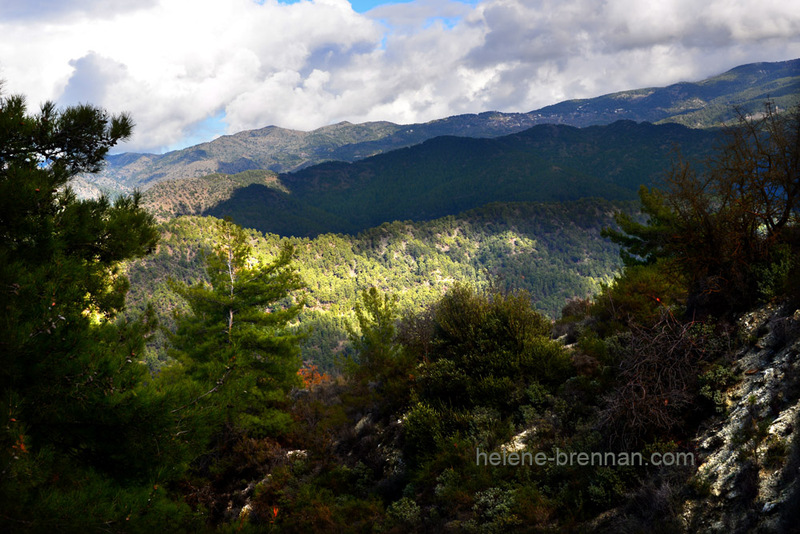 Yesterday I took a trip there and took several photos, as one does. 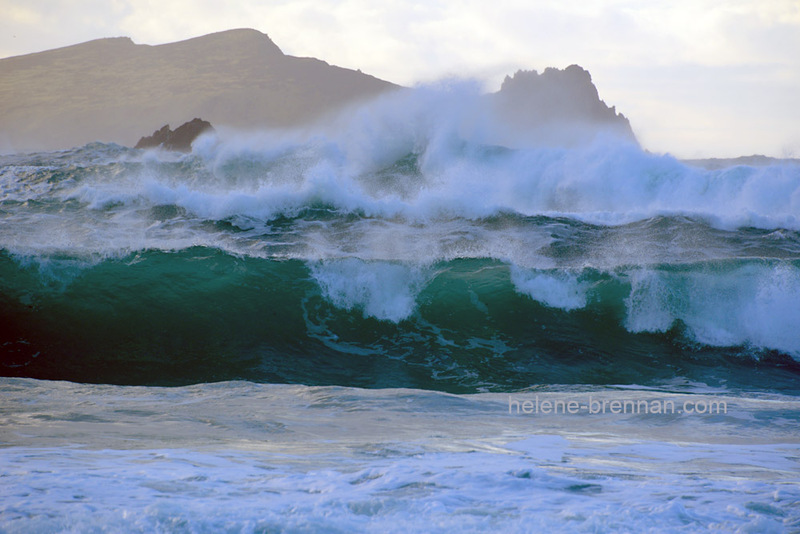 How grateful I am that we no longer have to use film that one has to use sparingly for fear of waste and cost. 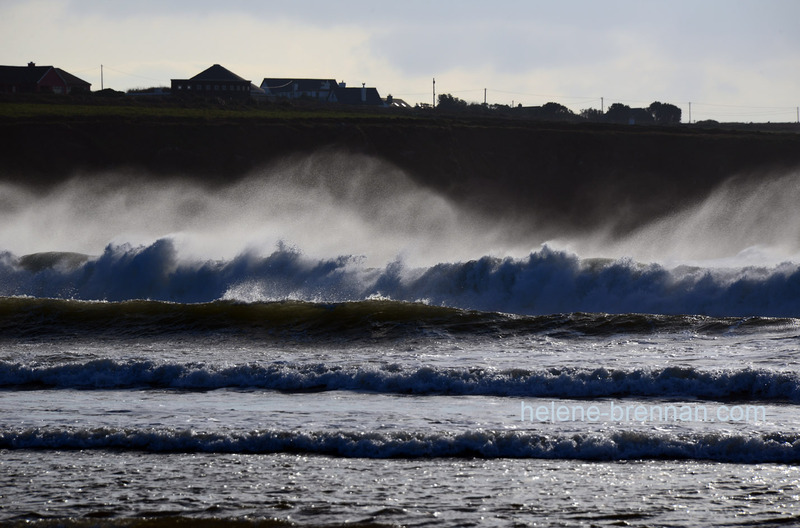 So here are a few of those photos. 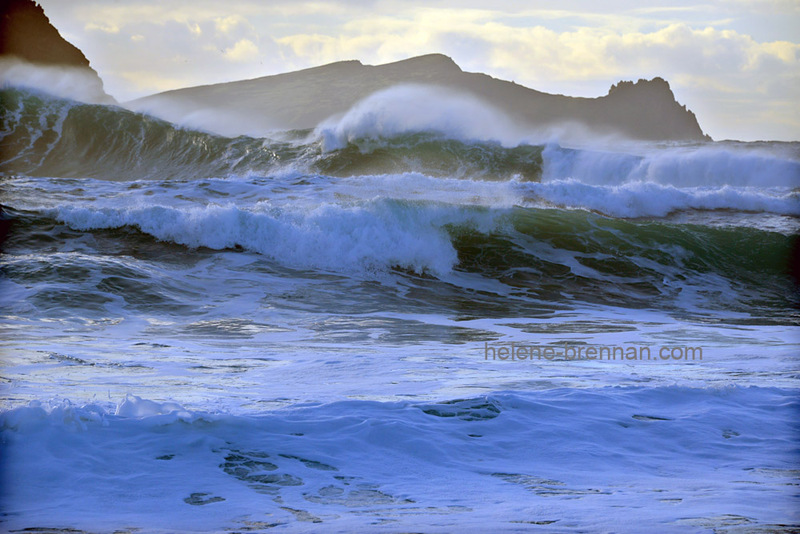 The island in some of these photos is Inis Tuaisceart, also known as The Sleeping Giant, or The Dead Man (An Fear Marbh). 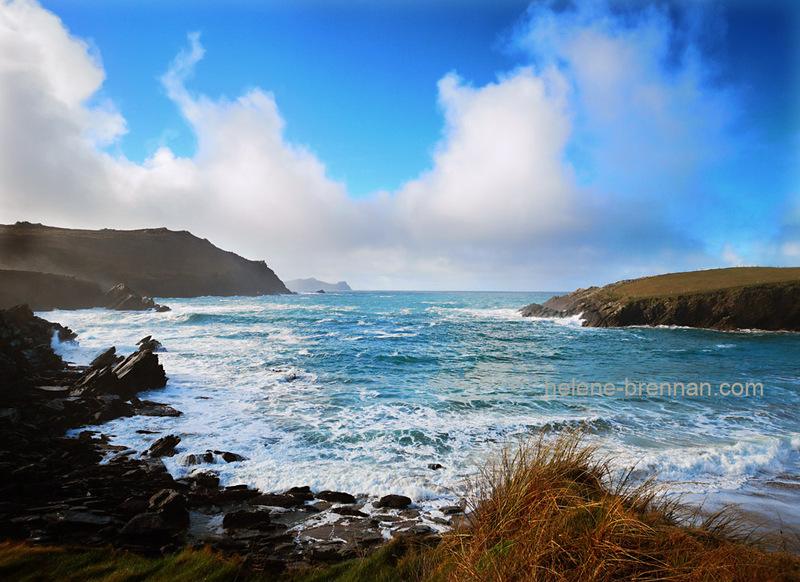 It is one of the group of Islands known as the Blasket Islands. 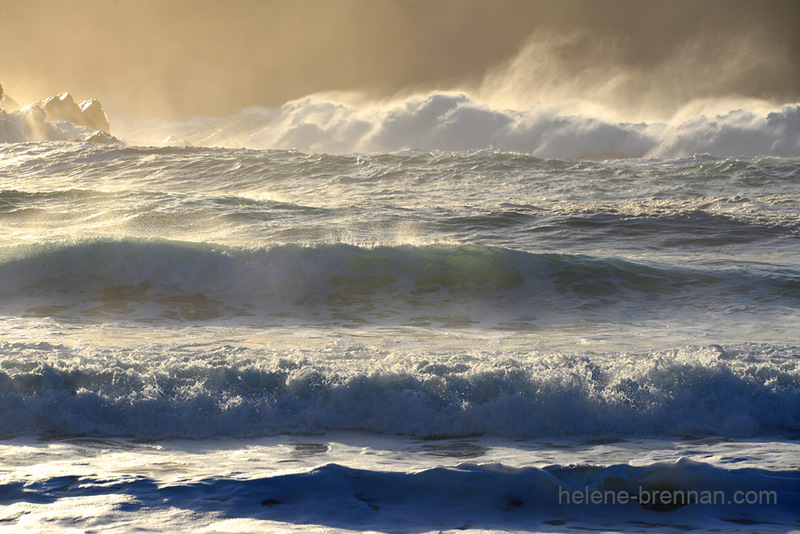 We are getting the usual kind of showery weather here, and it’s a bit of a challenge to sneak a few photos between the showers while also avoiding getting myself and my camera wet. 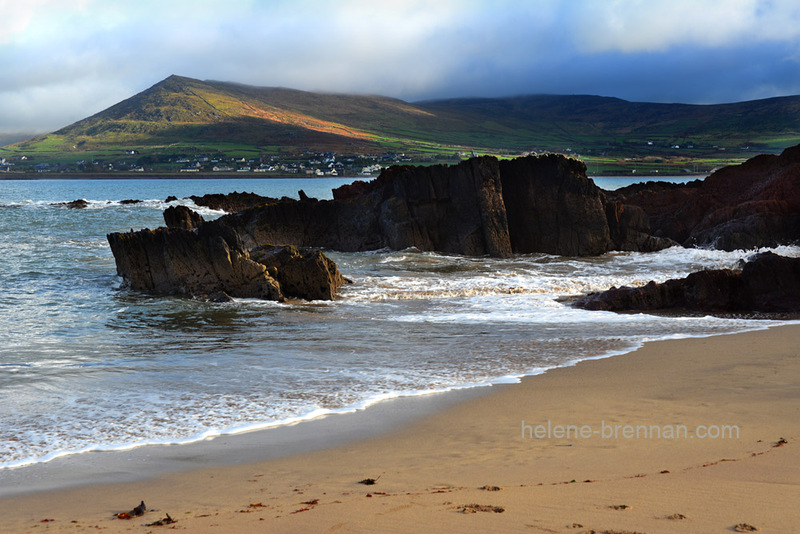 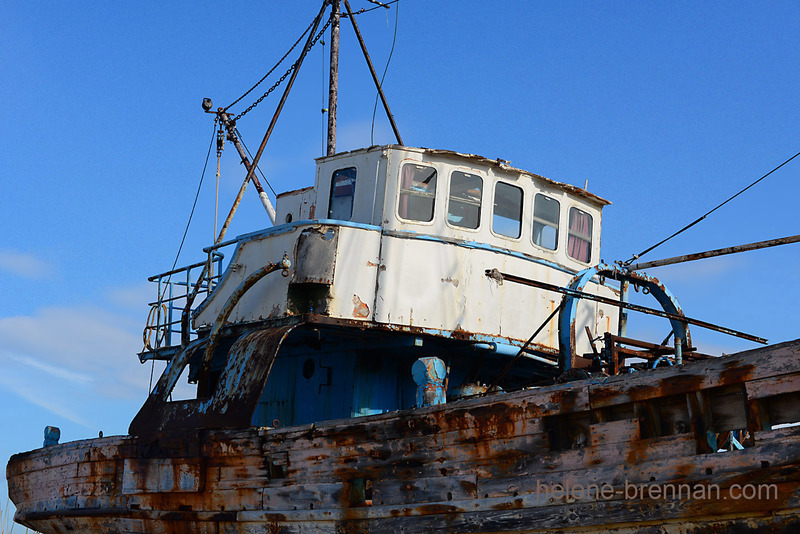 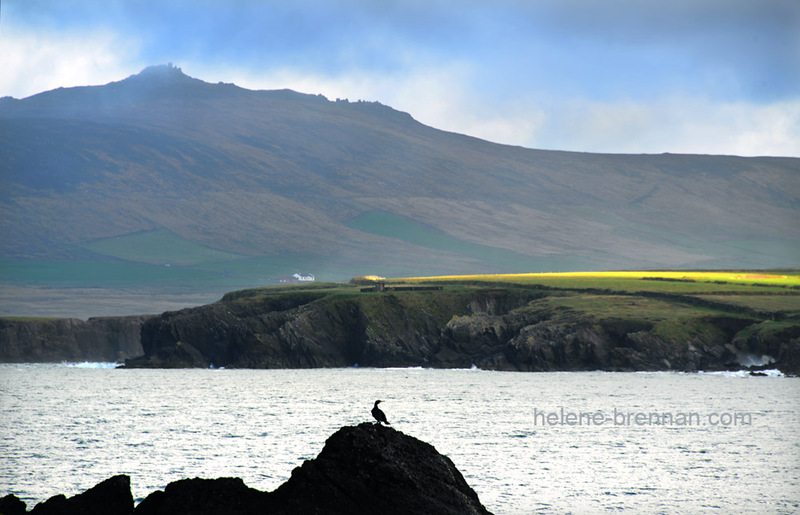 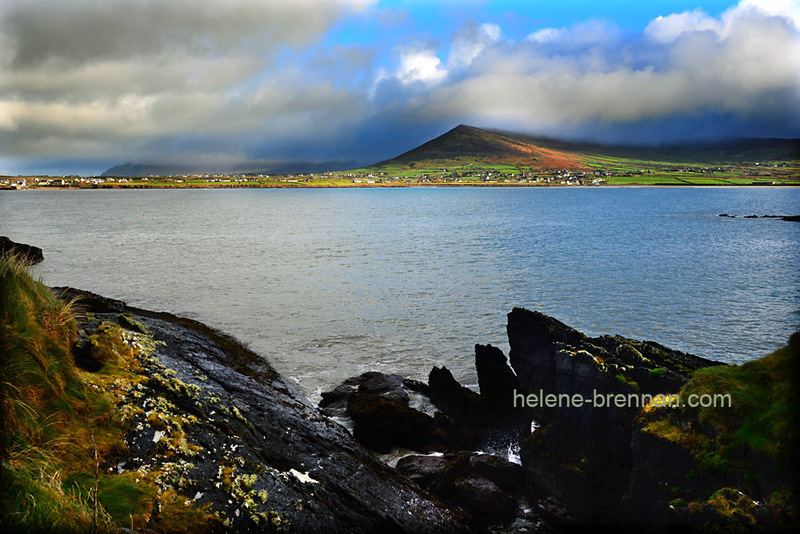 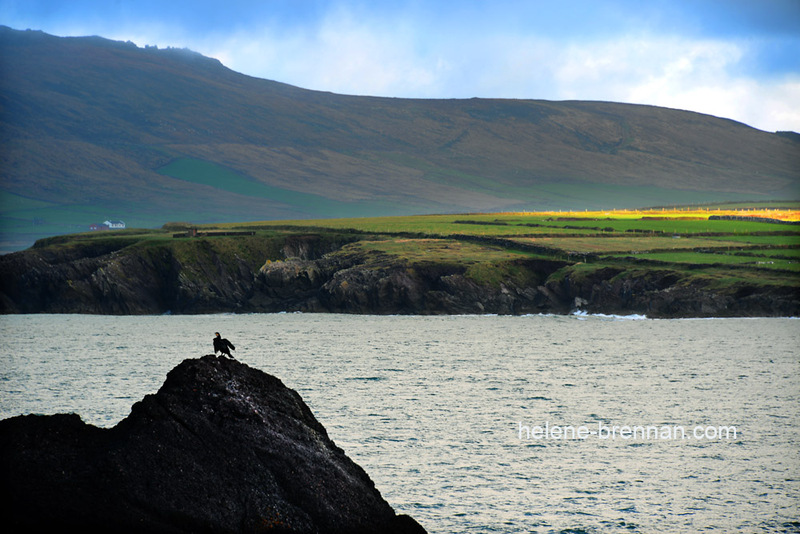 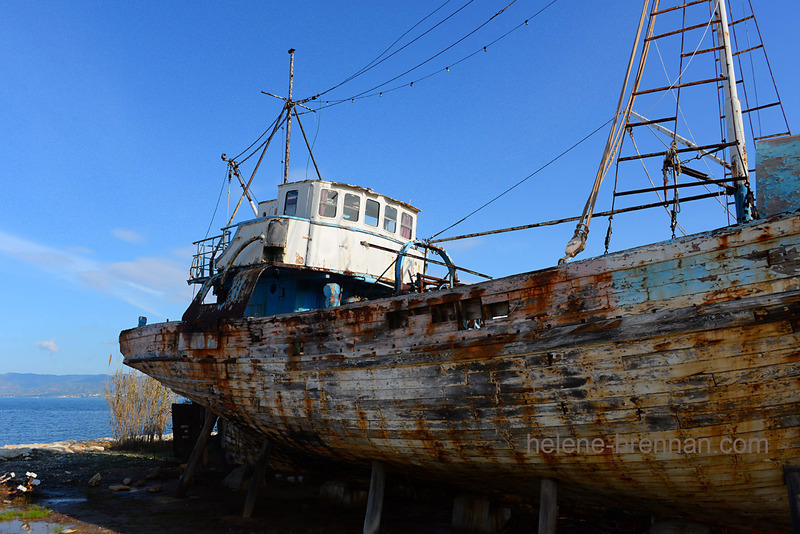 But here are a few attempts I made in the Ballyferriter area of the Dingle Peninsula, County Kerry.